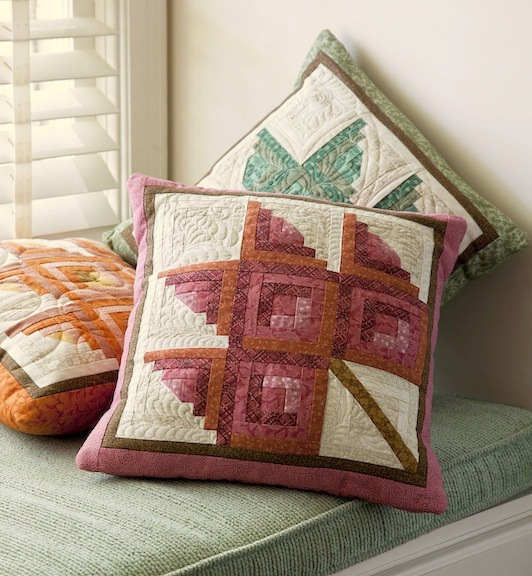 Virtual Trunk Show #8: Pillows! Hello Friends, I hope you are doing well! I am a light-weight when it comes to homemade gifts! 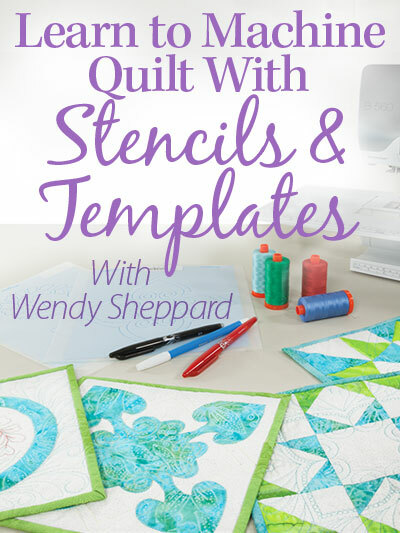 I very rarely make quilts as gifts because of my time constraint even though I have a couple in the works for a few very special people in my life. 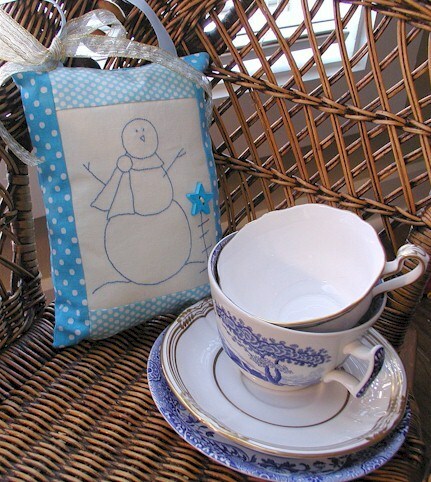 I oftentimes resort to pillows when I give homemade gifts. 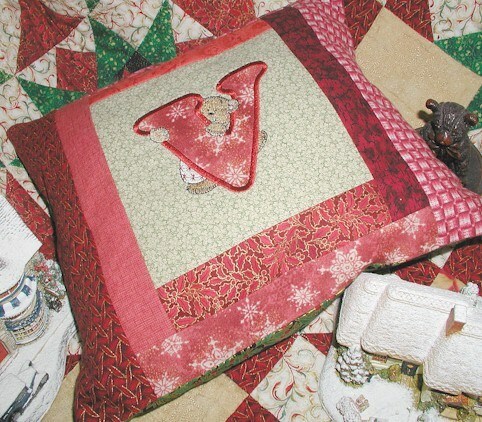 So, in case you are running late in your 2012 Christmas gifts-to-make lists, perhaps these pillows would give you some ideas…? 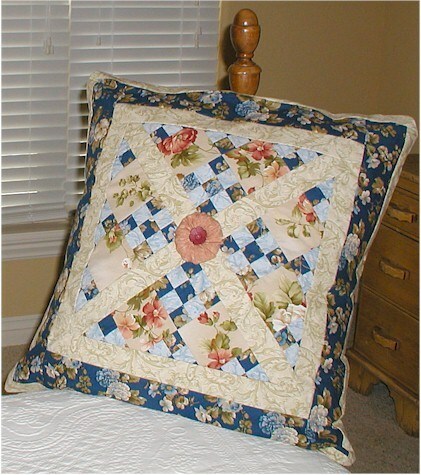 Feel free to click on the names of pillows to view more pictures. I hope you have enjoyed my pillow trunk show. Now curious mind wants to know which your favorite is! 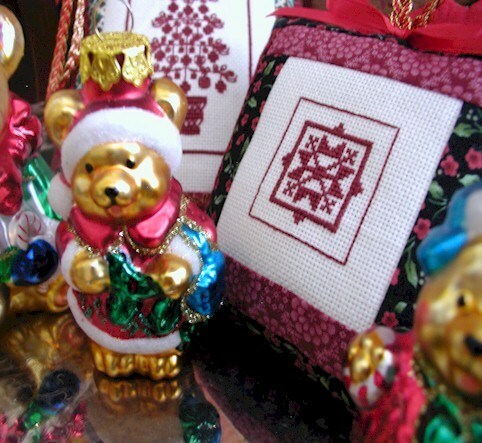 Annie’s is having a 15% discount on any orders on their website that will last through tomorrow (11/16/2012). 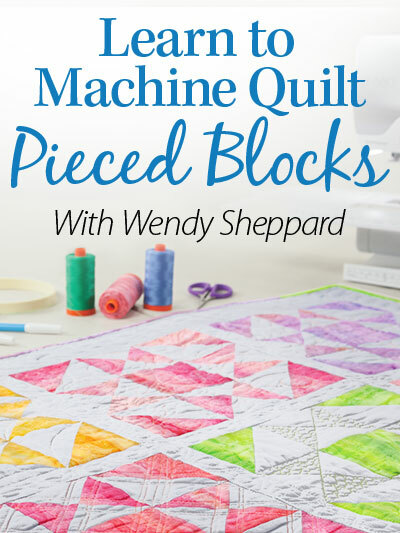 I thought I would pass that along in case you want to take advantage of the discount for my online Learn to Machine quilt class! 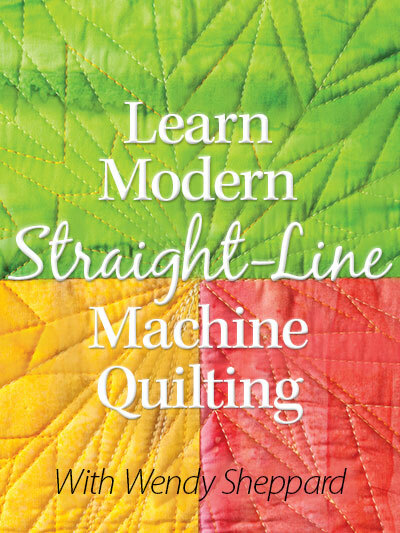 You can also click on the Annie’s Online Classes banner on the right sidebar to access the web page for the class. 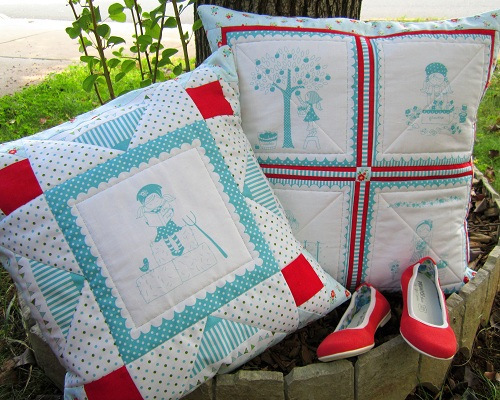 This entry was posted in Uncategorized and tagged Pillow Projects. Bookmark the permalink. Oh dear, please don’t ask my fav, as they are all lovely!! Wow Wendy those are just gorgeous – I love the cardinals best, so beautiful!! 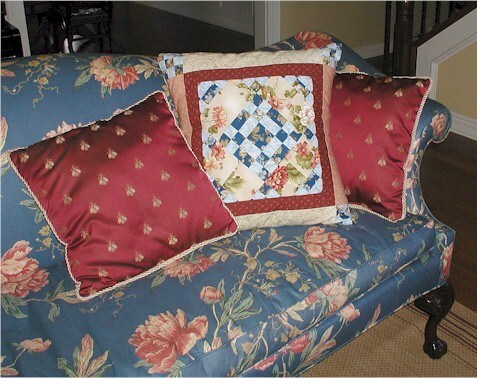 I love the heirloom pillow, Truly you have done a wonderful job on all of the pillows. 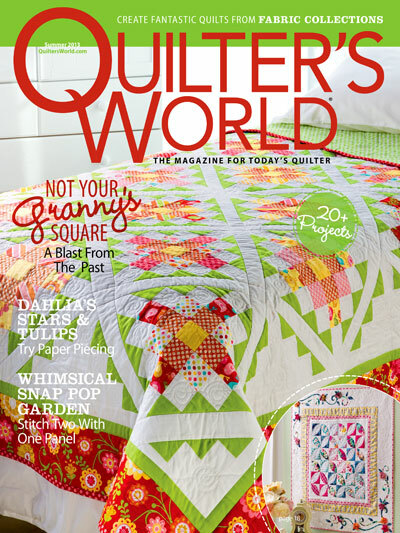 Your work always offers a terrific inspiration to “Get Sewing”. 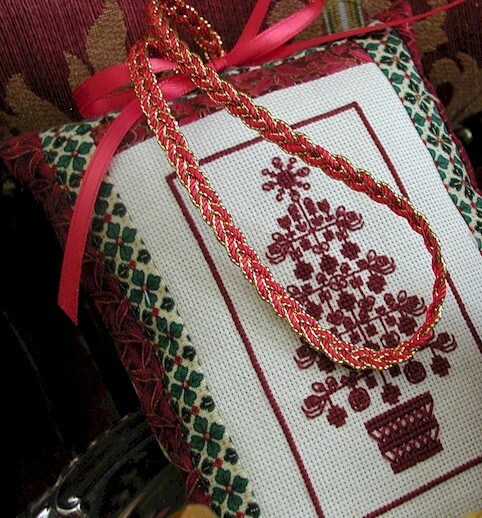 I LOVE all of them–Heirloom Pillow would be my favorite but I also like the cross stitch Christmas Tree Ornaments. 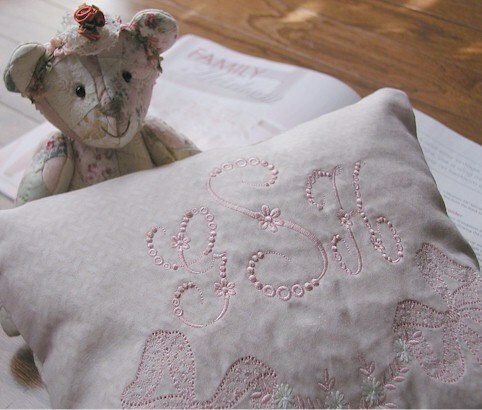 Wonderful work and lots of time spent on pillows. Thanks for sharing. Wow! You’ve given me some great ideas. Sometimes, it just takes a spark and reminder. Thank you so much. Cardinal is favorite. Embroiders are nice but I don’t do machine embroidery thus I don’t do. 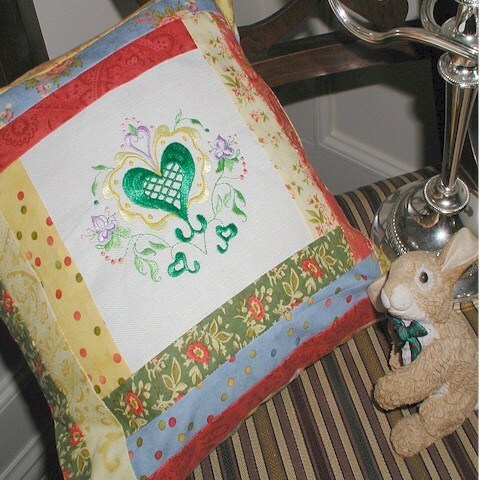 I love to hand embroider. I also like Peaceful Garden–I think that was the name. You did a great job. What beautiful pillows! Any one of them would be a very welcome gift! 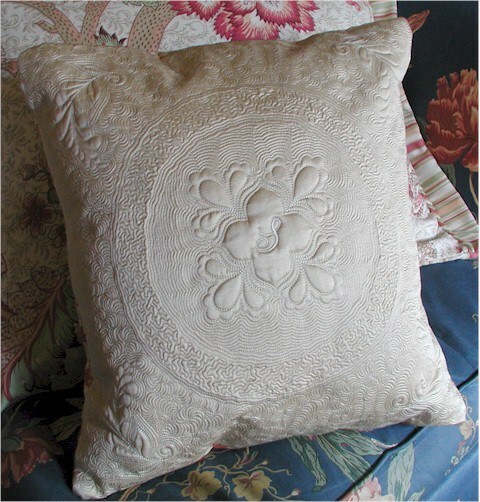 My favorite is the heirloom pillow – oh my!!! 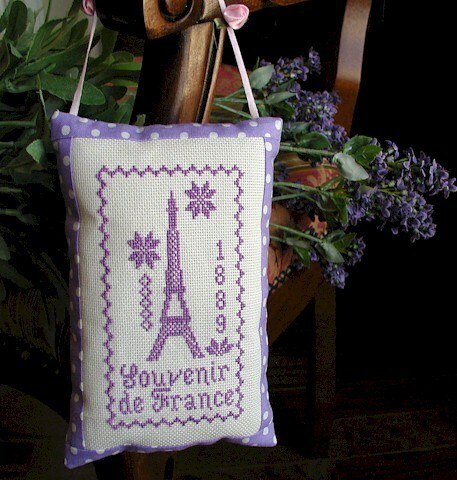 Such gorgeous stitching!!! 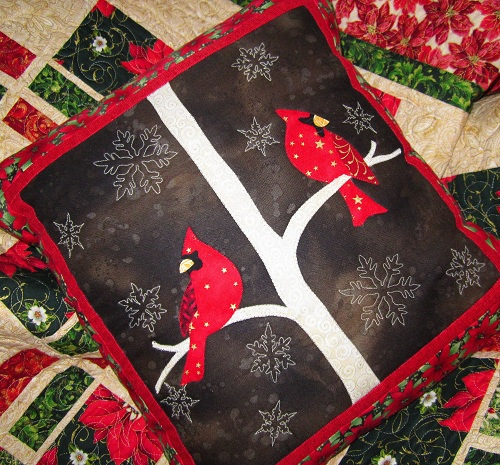 And of course I love the cardinal pillow – I’ve bought that issue so I can make my own :*) Thanks so much for the trunk show! What a fun trunk show. 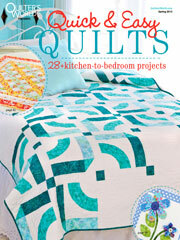 I loved them all, but if I have to pick a fav it would probably be Heirloom Pillow . 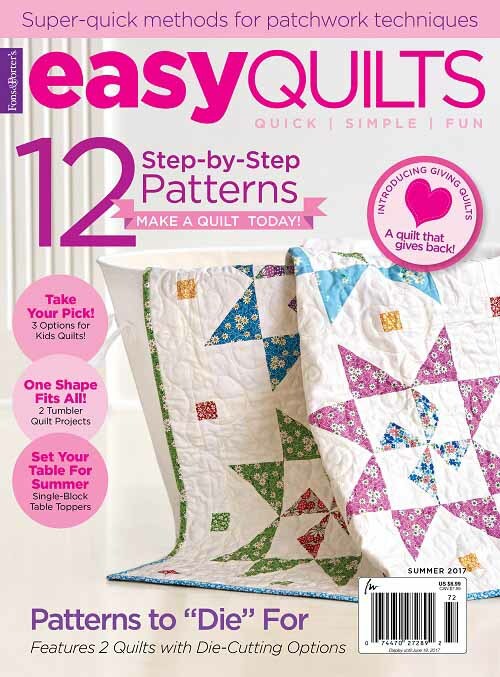 Love your idea of using quilt scraps to make a pillow too. I definitely overlook that opportunity and suspect many others do too. Thanks for the inspiration. I loved all of them, but I think my favorite if the first one. Happy Thanksgiving, Wendy. 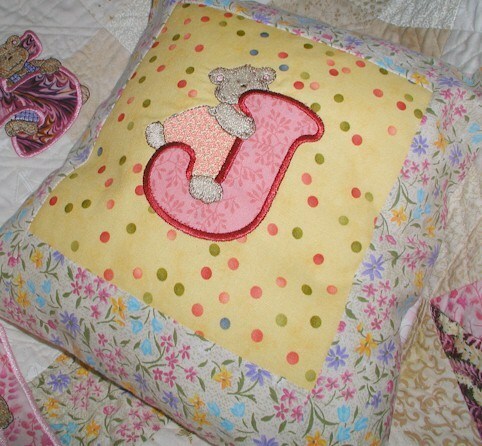 i love your monogram pillows. I love the first two as well as the fun monogram one. I love the log cabin leaves except they wouldn’t “go” with my decor, but I love how they look. Love them all!!! and I treasure the one you left with Dan and I here at Rogers Sewing Center when you left us (: (boo hoo) It continues to awe and inspire others. Love you, friend! They are all lovely, but I especially like the cabin leaves and the cardinals. You have a lot of knowledge on this subject. That is a very good tip especially to those fresh to the blogosphere.